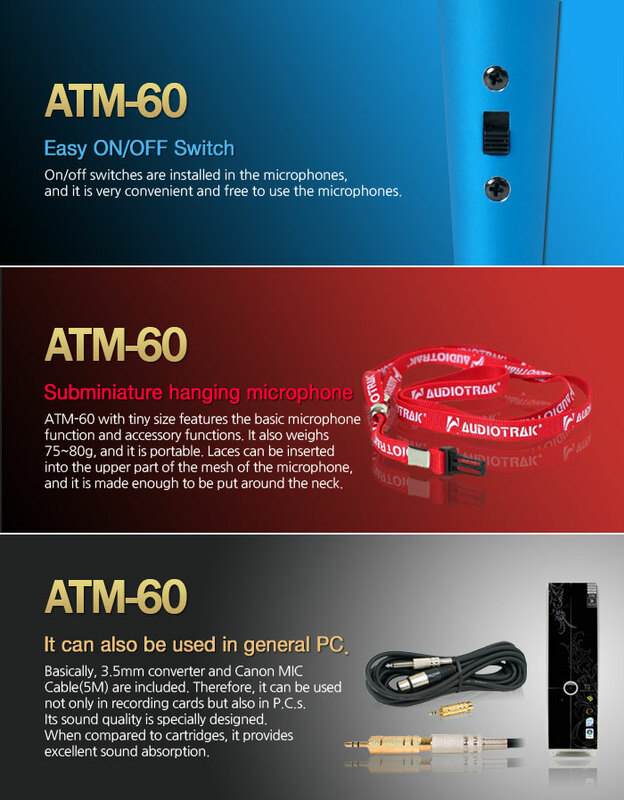 ATM-60 has 5 gorgeous colors. It is a fashion item, and is worthy of note for young generation. 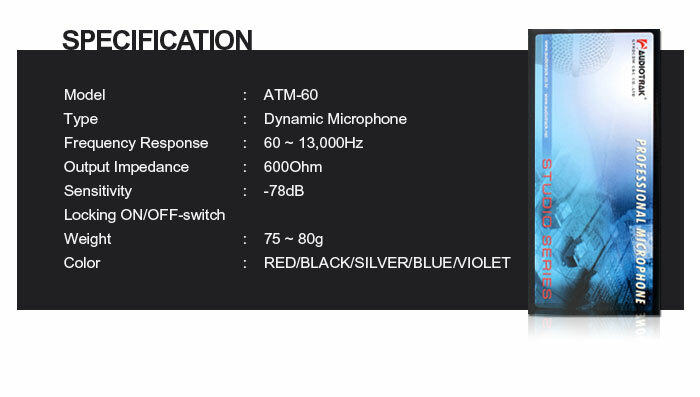 It is suitable for presents. 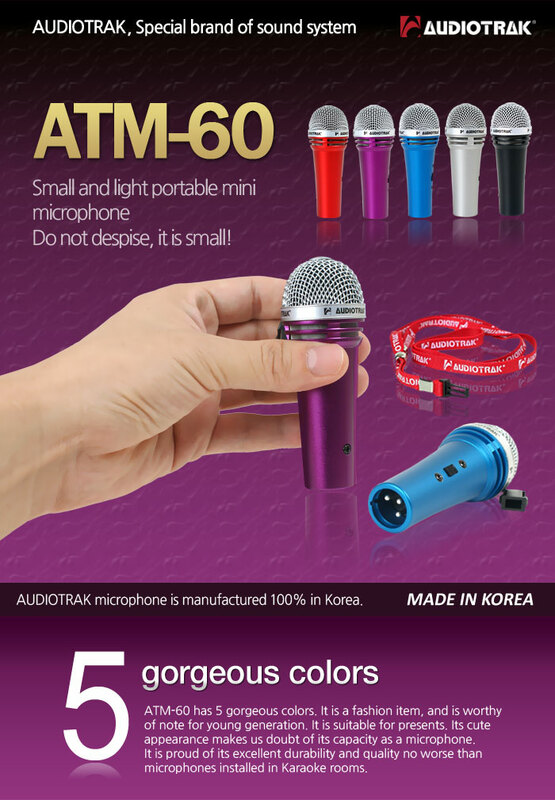 Its cute appearance makes us doubt of its capacity as a microphone. 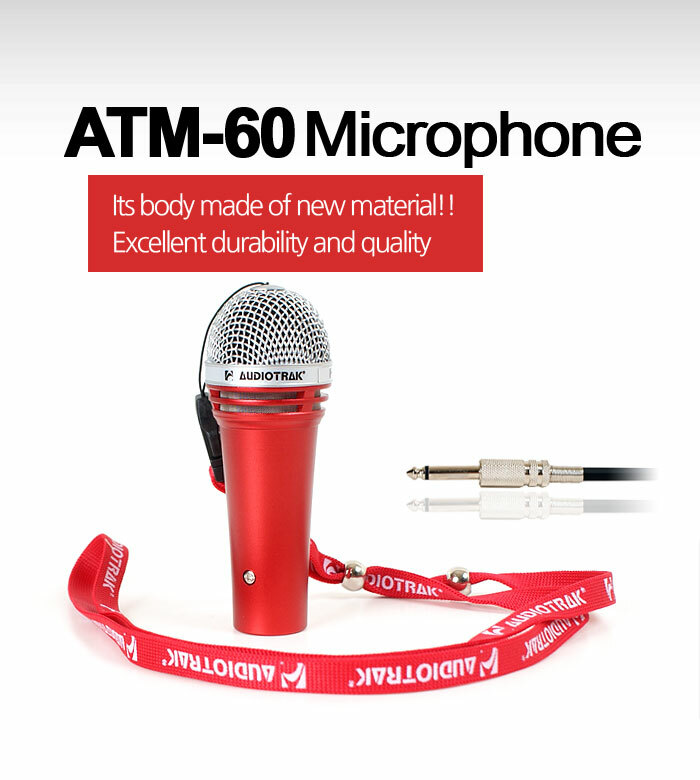 It is proud of its excellent durability and quality no worse than microphones installed in Karaoke rooms.